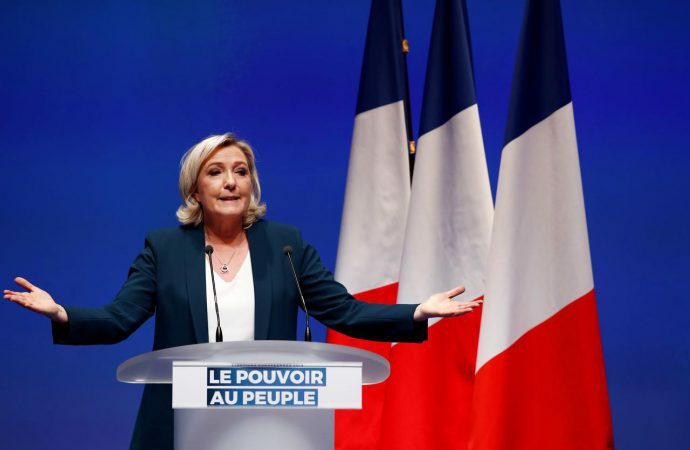 France’s right-wing National Rally party is expected to release its manifesto today, ahead of the May 2019 European Parliament elections. The manifesto will likely double down on the core messages the populist party has previously espoused: anti-immigration, “anti-Islamisation” of Europe and Euroscepticism. In recent weeks, a number of right-wing populists like European parliamentarian Nigel Farage and Deputy Prime Minister of Italy Matteo Salvini have attempted to rally European voters ahead of the elections. Last week, Mr Farage announced the formation of a “hard” Brexit political party called the Brexit Party in the UK. Mr Salvini organised a meeting of far-right political parties in Milan, including Austria’s Freedom Party and Germany’s Alternative for Germany last week as well. The May elections will be a test of whether or not the core message of right-wing parties across Europe appeals to the average voter. The vote comes in the context of Brexit uncertainty, fears of another global recession and a changing demographic landscape caused by increased migration, a younger population and a diminished sense of European identity. Significant right-wing gains in the election could signal the beginning of a new political era in Europe, an era in which the historical influence of the European Union on the domestic affairs of its constituent nation-states could wane.